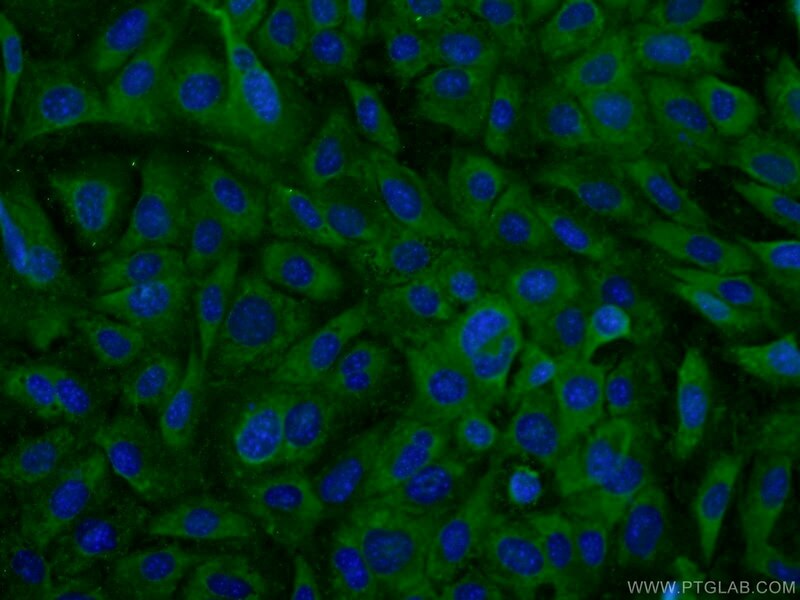 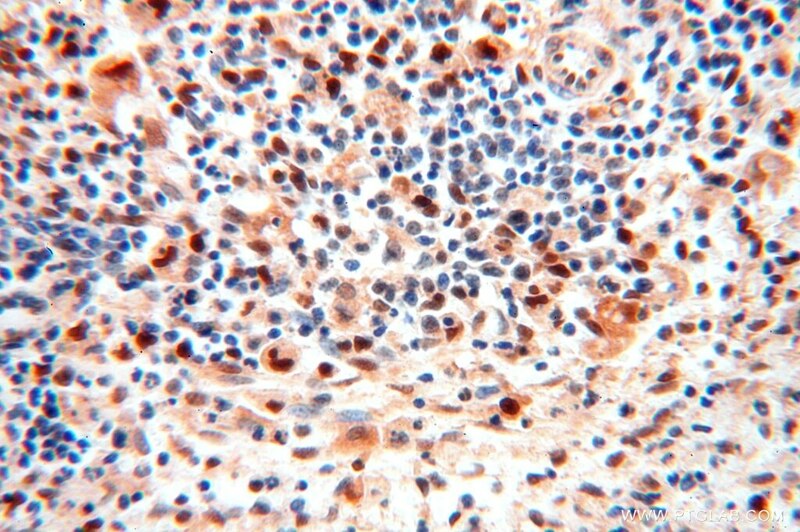 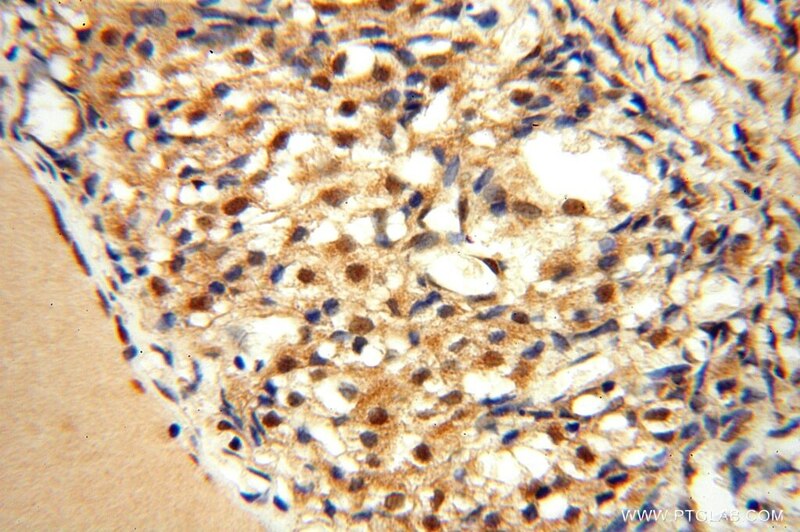 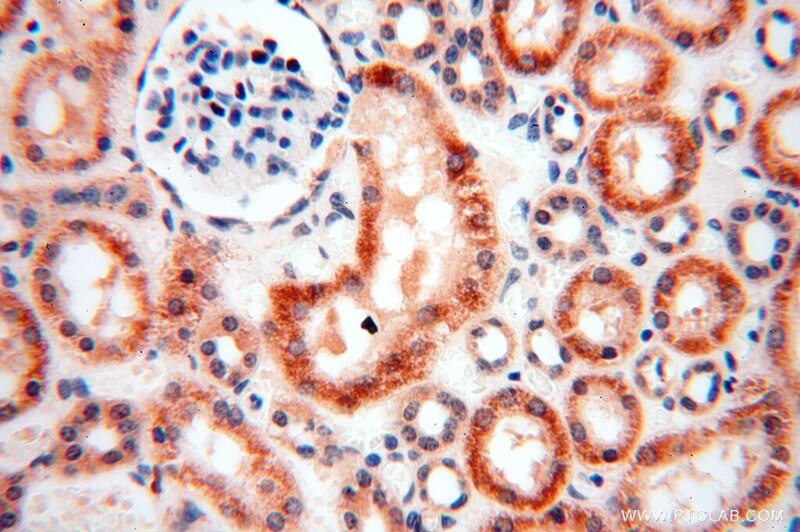 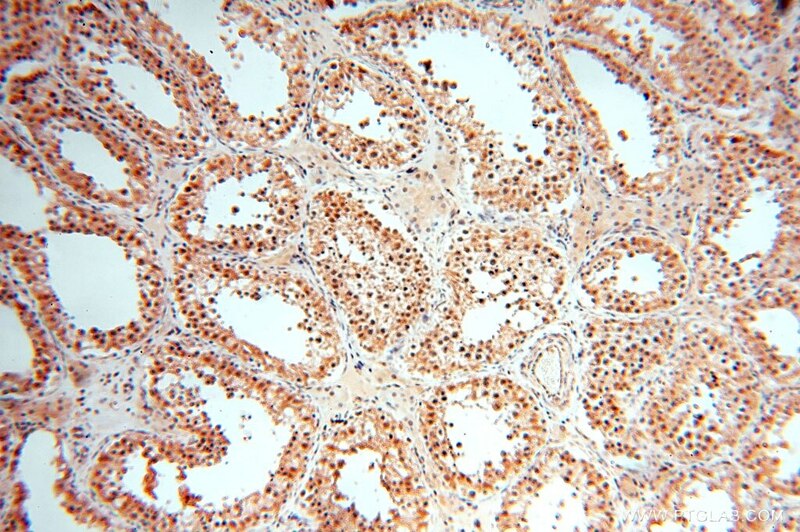 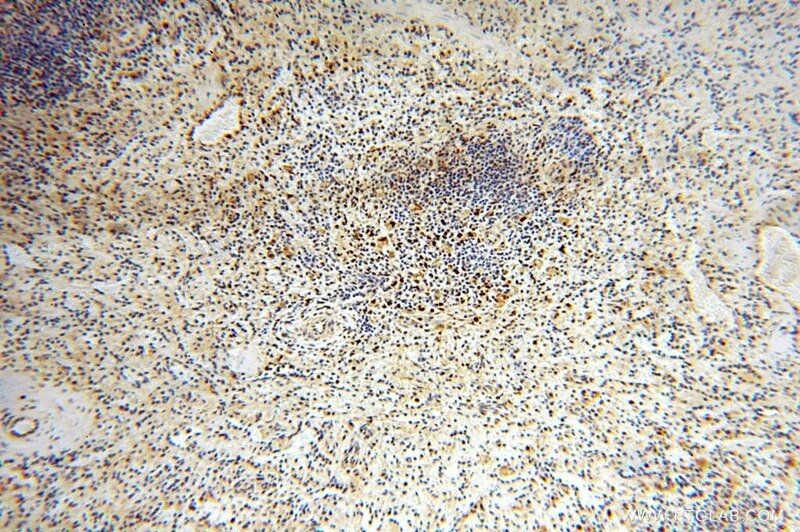 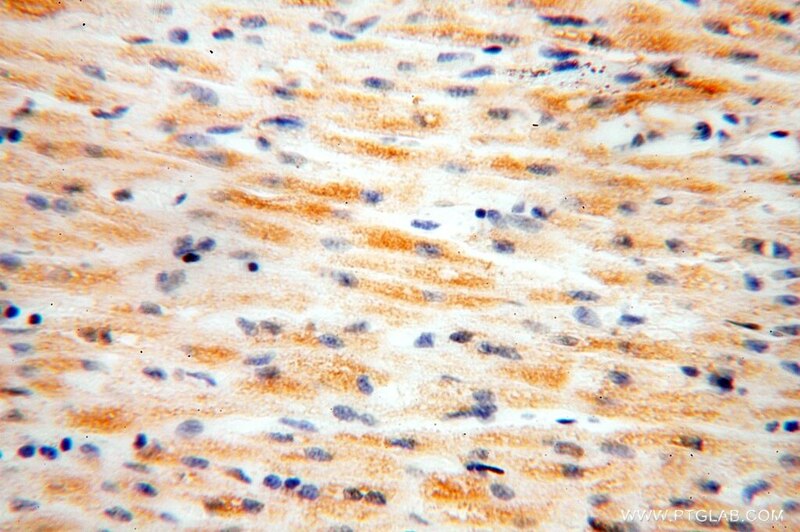 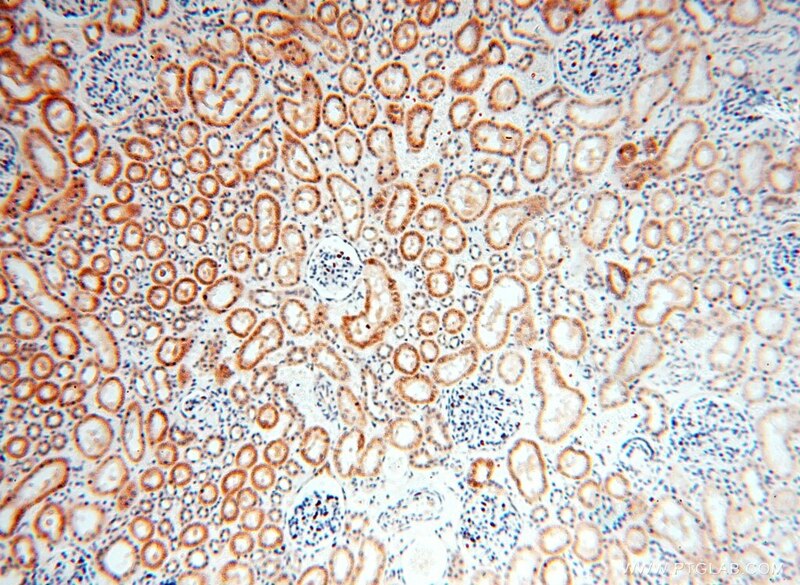 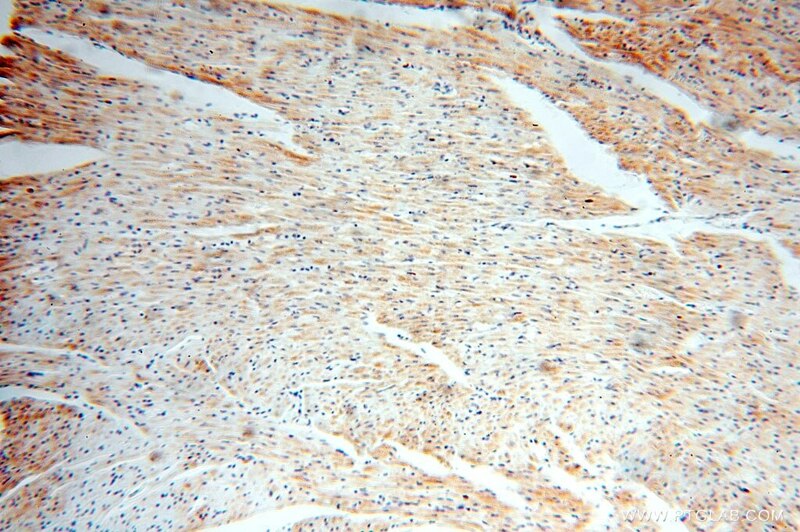 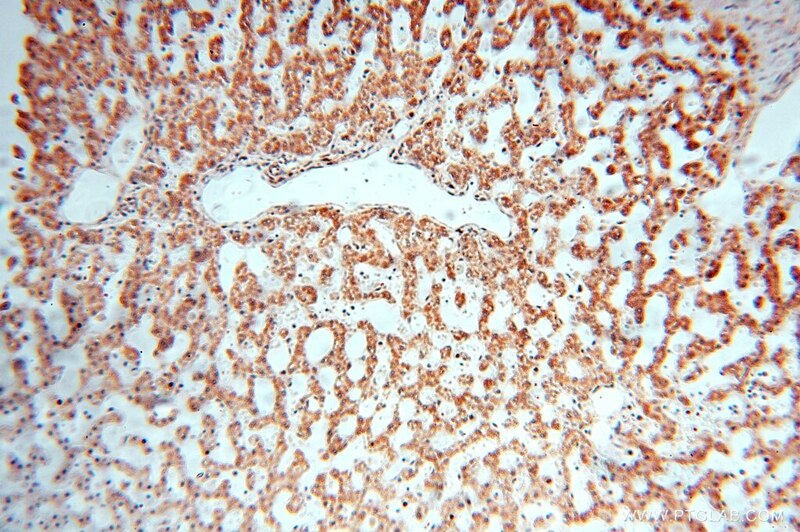 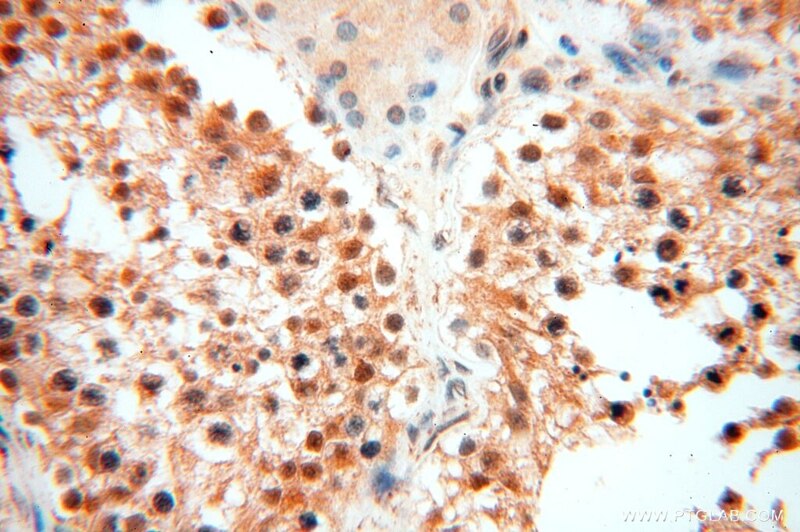 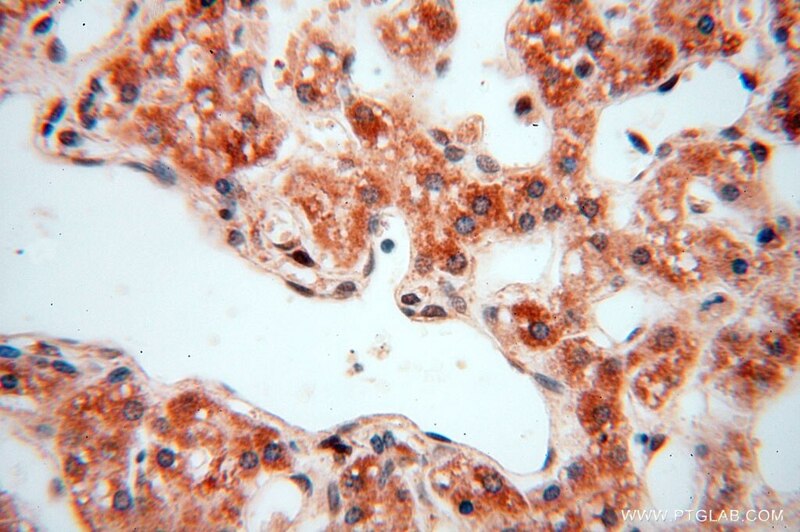 IP Result of anti-EXOSC10 (IP:16731-1-AP, 4ug; Detection:16731-1-AP 1:700) with HeLa cells lysate 1200ug. 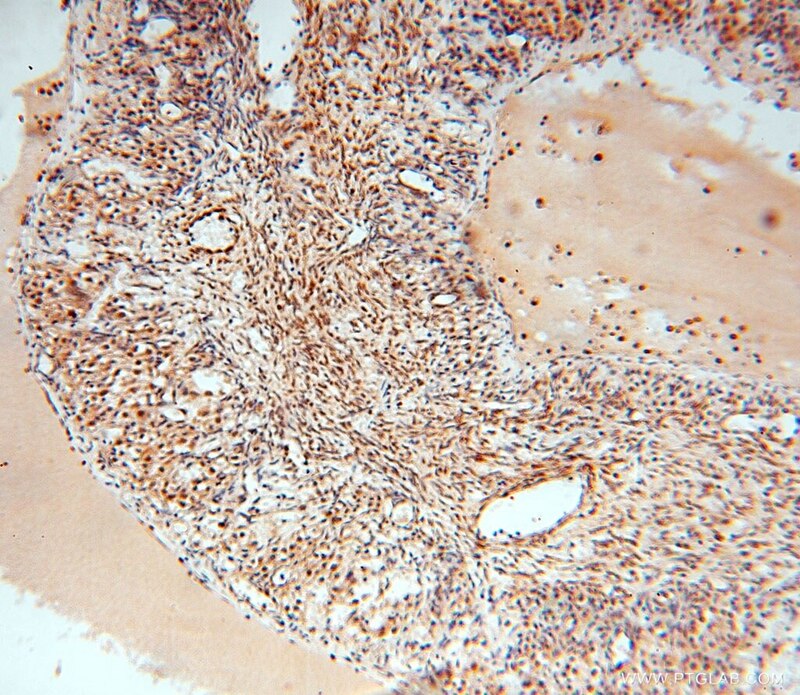 About 50% of patients with polymyositis/scleroderma (PM-Scl) overlap syndrome are reported to have autoantibodies to a neuclear/nucleolar particle termed PM-Scl. 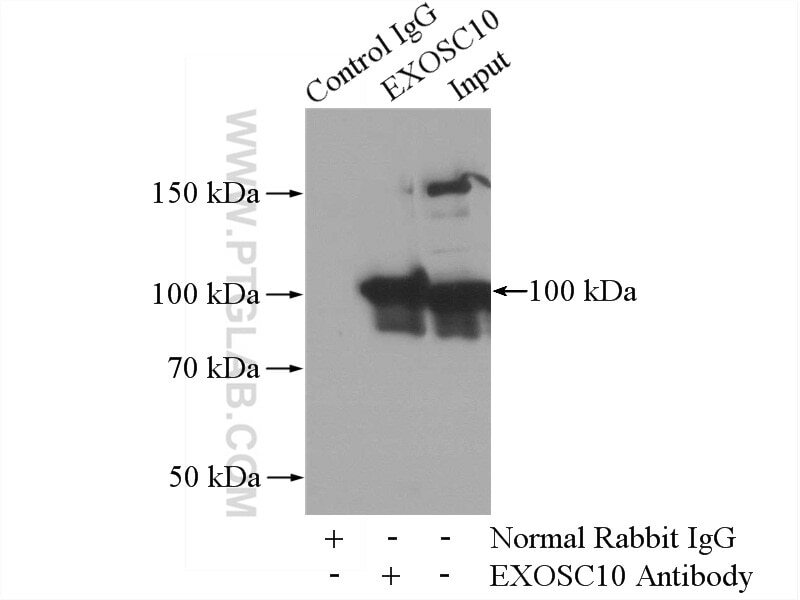 Exosome component 10 (EXOSC10), also named autoantigen PM/Scl 2, is the 100 kDa antigen component of PM-Scl and is recognized by most sera of PM-Scl paitents. 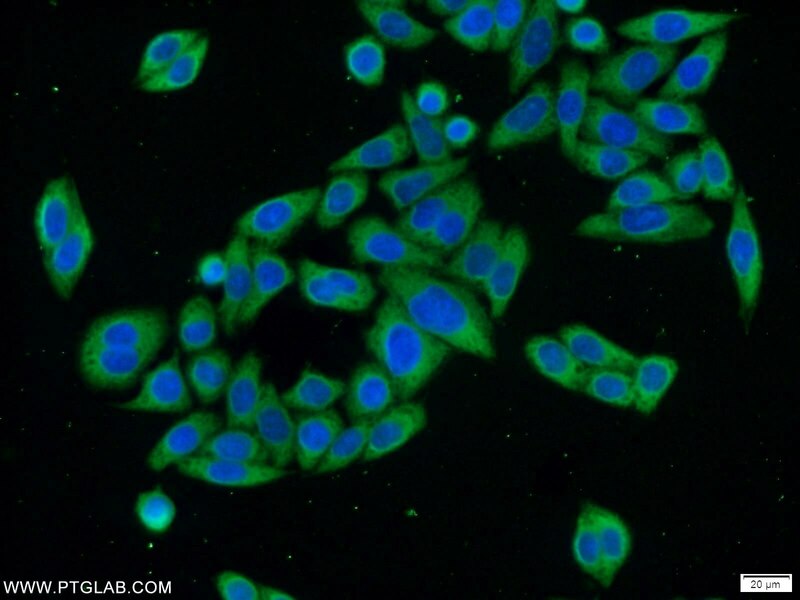 EXOSC10 is strongly enriched in the nucleolus and a small amount has been found in cytoplasm supporting the existence of a nucleolar RNA exosome complex form. 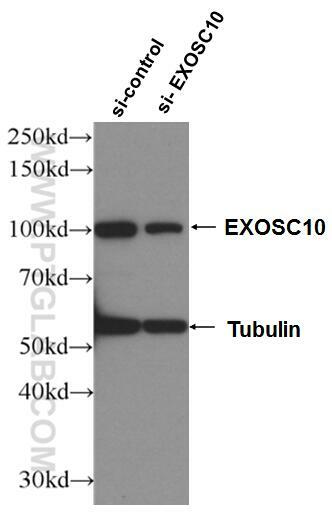 As a putative catalytic component of the RNA exosome complex which has 3'->5' exoribonuclease activity, EXOSC10 participates in a multitude of cellular RNA processing and degradation events.